The Student Activities Board will have its call-out meeting tonight at 5:00 p.m. at Room 172 in the Schroeder School of Business Building. Come learn how you can help bring fun and interesting events to campus! If you can't make it, but want more information contact Justin Coffey at jc534@evansville.edu. The first Creative Writing Coffee Hour will take place today - Wednesday, September 14 - at 4:00 p.m. in the Melvin Peterson Gallery. You are invited to join us in welcoming Joseph Harrison as our guest speaker. The Creative Writing Coffee Hours are free and open to the public. Harrison’s most recent volume of poetry, Shakespeare’s Horse, was published by The Waywiser Press in 2015. His other books are Identity Theft (Waywiser, 2008), Someone Else’s Name (Waywiser, 2003), and The Fly in the Ointment (1994; 20th anniversary edition: Syllabic Press, 2014). Harrison’s poems have been widely published in journals and anthologies. In 2005 he received an Academy Award in Literature from the American Academy of Arts and Letters. In 2009 Harrison was awarded a Fellowship in Poetry by the John Simon Guggenheim Memorial Foundation. 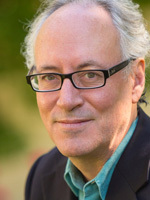 He is senior American editor for The Waywiser Press, and lives in Baltimore, Maryland. Eykamp String Quartet member and EPO associate concertmaster Alicia Choi will present this week’s faculty recital in Wheeler Concert Hall this evening at 7:30 p.m. To begin the program, Choi will be joined by violist Yoni Gertner and cellist Brady Anderson for a performance of Beethoven’s String Trio in E-flat Major, Op. 3. Pianist Futaba Niekawa will then join Choi for a performance of Francis Poulenc’s Sonata for Violin and Piano, FP 119. All four musicians will conclude the recital with a performance of Antonin Dvorák’s Piano Quartet No. 2 in E-flat Major, Op. 87. The recital is free and open to the public. This week's I-House presentation will be by Gabi Tom on her country Brazil. She is an international studies and political science double major. She loves to dance, work out, and travel. Her favorite part about UE is the International Bazaar. She will be bring delicious sweets called brigadeiros! So come this Wednesday to I-House Brazil at 7:00 p.m. upstairs in Ridgway University Center. Are you interested in being a physician assistant (PA)? Do you know what a PA does or what it takes to become one? Come learn about this career from noon-2:00 p.m., on Friday, September 16, in Room 255 in Koch Center for Engineering and Science. There will be two guest speakers: Nicole Hamilton, who earned her biology degree from UE in 2014 and who is currently a student in the PA program at Butler University, and Michael Roscoe, UE's PA program director. Boxed lunches will be available; please RSVP to alumni@evansville.edu by Wednesday, September 14, to reserve your lunch. This is an informal event. If you have a class at noon, feel free to come at 1:00 p.m. If you have a class at 1:00, feel free to come at noon and leave when it’s time for class. This is the first event of the SAMS Career Colloquium series for 2016-17. This career series is designed to introduce you to the wide variety of job opportunities available for students interested in science or math. All are welcome. At the Lunch and Lead session set for noon today, active and alumni fraternity and sorority members discuss how being in a Greek organization can enhance your leadership abilities. The session will be in Room 126, Hyde Hall, and will feature Tad Dickel, Andrea Wallace, Jalen Lee, and Victoria Salsman. The French Club will hold a call-out meeting today - Tuesday, September 13 - at 6:30 p.m. in Room 105 in Hyde Hall. Please join us to share your ideas for activities this year. First annual UE Volunteer Fair! Come one, come all to the first annual UE Volunteer Fair on September 21! Non-profits and community agencies from across Evansville will be on campus looking to connect with students like you! The fair will take place from 9:00 a.m.–noon. The event will be in front of Ridgway University Center. (In case of inclement weather, the fair will take place inside Ridgway University Center on the second floor in Eykamp Hall. Whether you need to complete hours for your organization, are looking to boost your resume, want to enhance your classroom experience, or just help out your community, we want to see you there! Packages requiring a signature for UE students living in UE residence halls and village properties are received in distribution services - mail services for security purposes. DS mail services notifies students via e-mail that a package has arrived for them and is ready for pickup. Students are required to bring their UE student ID with them, which is scanned for identification/signature and package pickup. For security reasons including homeland security, student packages cannot be delivered to campus departments or picked up from DS mail services by someone else. DS mail services is located in the General Services Building at 1 S Frederick Street and is open Monday-Friday, 8:00 a.m. to 5:00 p.m.
For questions, contact DS mail services at ext. 2197 or e-mail mailservices@evansville.edu. The Orr Fellowship connects talented and energized college graduates with top companies in Indianapolis. Don’t miss UE Orr Fellows’ last trip to the University of Evansville on September 15, to learn more and gain insight into their recruitment process! To learn more about the Orr Fellowship, go here. Attend a Networking Workshop on September 15 from 4:00-5:00 p.m. in Dunigan Lounge in the Schroeder School of Business Building. Get experience in networking and practice for the Orr recruitment process! Seniors and juniors who meet the GPA requirement and are interested are encouraged to attend. RSVP to Emily Fiedler at ef31@evansville.edu by Tuesday, September 13. Questions? Contact Emily Fiedler at ef31@evansville.edu or Sethlyn Morgan at sm247@evansville.edu or go here for more details. Are you planning on attending Harlaxton in the fall of 2017? Applications are now open on our online system. Simply go here and look under Semester Programs. All applications for Harlaxton are now electronic. Once you have applied the Harlaxton office will contact you. For more information please email hc110@evansville.edu. Assistant professor of creative writing Katie Darby Mullins has a new poem, "My Illinois Life," coming out in the next issue of Gravel. Douglas Reed, UE university organist emeritus and a professor of music emeritus, has been appointed interim principal organist of the Church of the Ascension, an Anglo-Catholic parish in Chicago. During the 2016 fall semester, Reed is visiting professor of music (organ) at the University of Notre Dame while organ professor Craig Cramer is on sabbatical. Joe Atkinson, digital multimedia specialist in residence in the Department of Communication, and James MacLeod, professor of history, have been selected to present at the second TedX Evansville event on October 1 at the Evansville Museum Koch Planetarium. Their Ted Talk will be based on their documentary series Evansville at War, which will be broadcast on WNIN Public Television on December 7-8. "Our talk is intended to be an inspiration to the people of Evansville," said Atkinson. "We did so much in a short time during the War, and we believe that that spirit is still alive today." MacLeod added that the Ted Talk will feature some video clips of interviews they have conducted with World War II veterans from Evansville. "The current developments downtown make it clear that the can-do spirit we saw in the city 75 years ago is still alive and well," MacLeod said. The entire TedX Evansville event will be streamed live on the Internet, and tickets for the live show are also available. Condolences to Cherie Leonhardt, assistant director of the Honors Program and coordinator of the Office of Veteran's Affairs, and family, on the death of her father, Truman R. Richardson of Ocala, Florida. A life celebration, followed by a service, was held in Ocala on Saturday. An exciting 3-2 victory by the University of Evansville volleyball team over Kent State put the finishing touches on the Dunn Hospitality Tournament on Saturday night at the Carson Center. Evansville (2-7) earned the win over Kent State (4-6) in the day’s final game after falling to Dayton earlier in the day by a 3-0 score. The Flyers went a perfect 3-0 in the tournament. In the finale against the Golden Flashes, Mildrelis Rodriguez led the way with 18 kills while Rocio Fortuny notched 16. Rachel Tam finished with 11. Jelena Merseli had a strong 45 assists while four players had double figure digs, led by 15 from Rodriguez and Olivia Goldstein. Drew Norberg led KSU with 19 while Kelsey Bittinger notched 17. Fortuny had five kills in the opening frame as the Aces grabbed a 25-22 win. UE took a 5-3 edge before Kent State rallied back to lead 8-7. From there, the Aces were able to regroup as a Merseli kill helped UE go back up 17-11. Just when it looked like UE would cruise to the win, KSU fought back. Trailing 22-17, the Golden Flashes scored five in a row to tie it up. That is when Fortuny struck again as her kill gave the Aces the lead for good as they won, 25-22. It was all Aces in the second set as Rodriguez posted four kills. Evansville jumped out to a 4-1 lead and held a 14-10 advantage before KSU punched back. They scored three in a row, but Evansville countered, extending its advantage back to four at 18-14. From there, the Aces were able to extend the lead, holding on for a 25-19 win to take a 2-0 lead. Kent State put it together in the third set, taking a 6-1 lead before cruising to a 25-14 win. The Aces got off to the better start in the fourth game, holding strong with a 14-10 lead. The second half of the set belonged to KSU, however, as they took their first lead at 20-19 and won by a 25-20 final to force a fifth and deciding game. Once again, the Golden Flashes had the hot hand early on, taking an 8-4 lead, but the Aces stormed their way back. A Rachel Tam service ace got the Aces within one before they tied it up at 9-9. Consecutive KSU errors saw UE take a 12-10 lead before the Golden Flashes were able to tie it up at 13-13. With the match on the line, UE regained its composure as Fortuny and Tam each notched kills to finish off the 15-13 win. UE opened the day against the Flyers, falling 3-0. A competitive opening frame saw the Flyers take the early 8-4 advantage. Evansville showed its fight, closing the gap to just one at 11-10. Later, the Aces trailed 22-18, but Rachel Tam brought the squad back. Two kills saw her give UE a 23-22 lead before Dayton roared back, scoring the final three points to clinch the set, 25-23. From there, it was all Flyers as they grabbed a 25-15 win in the second game before capping off the match with a 25-13 triumph. Jessica Sloan led UD with 16 kills while Amber Erhahon notched 11. Fortuny led the Aces with 8 kills with Cathy Schreiber and Rachel Tam notching seven apiece. Merseli had 22 assists. The final non-conference tournament for UE is set for next weekend as they travel to Jacksonville, Alabama, for the Gamecock Classic. The Aces will face Kennesaw State, Louisiana Monroe, Jacksonville State, and Nicholls State. A trip south to Murray, Kentucky, will officially open the 2016-17 season for the University of Evansville Men’s Golf team. Play begins with two rounds today with an 8:15 a.m. shotgun start. Tuesday’s final round commences with an 8:45 a.m. shotgun start. Par for the tournament will be a 71 with the yardage checking in at 6,601. Set to play in the tournament are: Bethel (TN), Evansville, Green Bay, Missouri Baptist, Murray State, Southern Illinois, Southern Indiana, and UT Martin. With the departures of senior Will Knights and Rick Voyvodic from last season, Tyler Gray is the top returning player. Last year, he had a stellar season, posting a 74.54 stroke average. He picked up a season-best tie for sixth place at the Don Benbow Invitational in Florida.